The European Commission announced on 22. July 2016 that it is taking Bulgaria to the Court of Justice of the EU over its failure to protect unique habitats and important bird species in the Rila Mountains. Wilderness in Pirin is in threat!!! Another wonderful piece of European wilderness is likely going to disappear if politicians and developers will not make the decision to stop further constructions and commercial logging. Within Central and Southeastern Europe several World Heritage sites are currently threatened by mining, unsustainable water use, transport and tourism infrastructures and active deforestation. Among the sites are the caves of Aggtelek in Hungary, the old-growth forests of Pirin National Park in Bulgaria, the Danube Delta, and the primeval beech forests of the Carpathian Mountains. Bulgarian Ministry of Agriculture and Food declared 10% of the state forests in Natura 2000 as protective old-growth forests which should be fully protected. Bulgarian Ministry of Agriculture and Food declared on 02.11.2016 with order #PD49-421 10% of the state forests in Natura 2000 as old-growth forests. The total surface of the protected forests is 109 145,60 ha. This great achievement is a result of long and consistent field researches and activities of the Bulgarian environmental organizations to identify and map old-growth forests and to conserve their biodiversity values in cooperation with the forests institutions and Ministry. 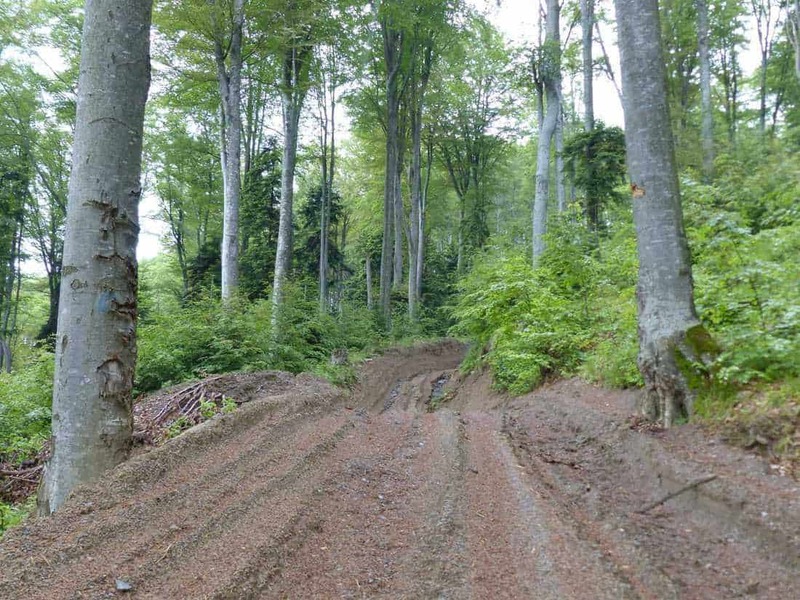 The order was issued in the implementation of the Guidance for the regimes for sustainable management of the forests in Natura 2000 which was developed by the Forest University in Sofia, Bulgarian Forest Institute and Executive forest Agency. It was approved by the Biodiversity Council at the Ministry of Environment in 2011. The Guidance required at least 10% of the forests in Natura 2000 to be declared as old-growth forests which will be not managed. A few years later with the amendments of Ordinance for cuttings in the forests in 2015 it was decided to stop any cuttings in the protective forests declared as old-growth forests except if they are 50% damaged. The same time there was a long process of identifying the proposed areas. There were a lot of discussions shall this to be implemented to all forests or only to the state forests and how to choose the most representative list of forest polygons. The projects of WWF and BirdLife Bulgaria proposed initial lists of old-growth forests in Bulgaria. Finally the Executive Forest Agency in collaboration with the state forest enterprises developed the final proposal which was signed by the Minister of Agriculture and Foods on 02.11.2016. This is the biggest step in the nature protection in Bulgaria after the declaration of the three Bulgarian National Parks. The total surface of the protected forests is more than 1091 km2 which are scattered in the whole country from the sea level to the high mountain altitudes and which include all types of Natura 2000 forest habitats. Just for comparison, even if we calculate the saved forests from the declaration of both the National Parks Rila and Central Balkan we will see that they are 977 km2. We hope that in the process of the preparation of the regional forest management plans and management plans for the Natura 2000 sites additional patches of old-growth forests will be added to this list. What is really happening in the forests of Eastern Europe? The real question now is : “What is really happening in the field.” The Deforestation report from Romania written by Prof. Dr. Hannes Knapp has shown that a closer look often reveals another side of the story. We are asking all our friends and supporters in Eastern Europe to report to us what the situation in the forests and the protected area is really like. Please let us know about your findings and/or observations. We would appreciate if you could send us photos including the GPS coordinates of the location photographed in addition to a short description. Upon request we will treat the information confidential and all names anonymously. Thank you! I would like to remain anonymous, please do not mention my name or email.